Dense, bushy evergreen shrub. Pinnate leaves with up to 40 pairs of small, elliptic-oblong, dark green leaflets. 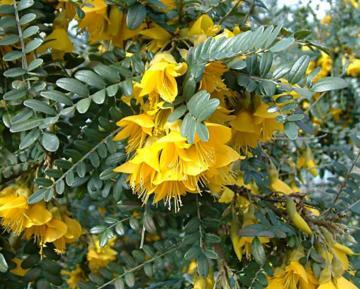 Pendant racemes of long lasting, deep yellow pea-like flowers, in late winter and early spring.